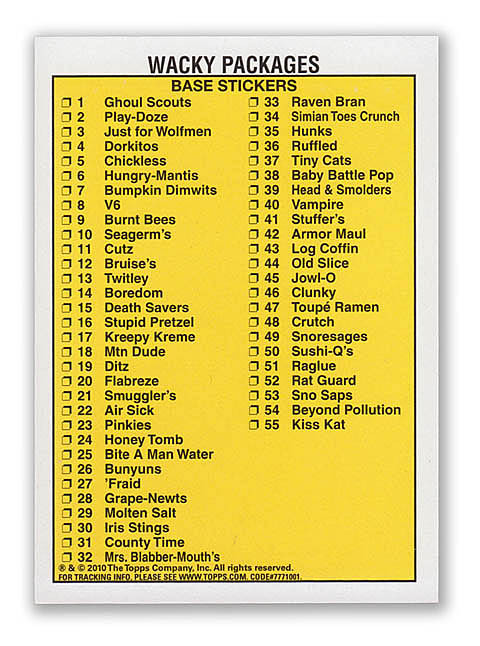 The 7th Series 2010 "Base Set" consists of the 55 stickers on the checklist (see checklist below). It does not contain the bonus stickers, foil stickers, or wack-o-mercials stickers. 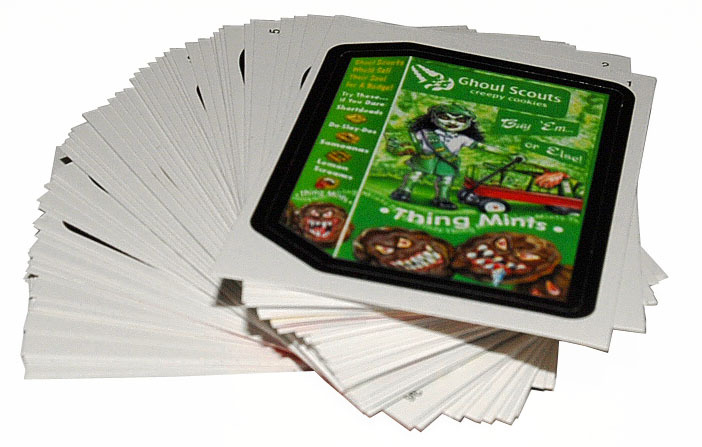 Each pack of 7th Series contains eight stickers from the base set. You need to open about ten packs to put together a base set.